Is RCEP tracking to be another TPP? Several countries involved in the Regional Comprehensive Economic Partnership (RCEP) have indicated a desire to wrap up negotiations by end of 2017. If this happens, it will be a record time for a multilateral agreement of this size—the RCEP was only launched back in November 2012. In comparison, negotiations for New Zealand’s bilateral agreement with China 10 years ago were of a similar duration. But given the rate at which the RCEP negotiations are going ahead, a speedy resolution seems unlikely. Back in 2012, the 10-country Association of Southeast Asian Nations (ASEAN) initiated the RCEP in an attempt to deepen its economic cooperation with China, India, Japan, South Korea, Australia, and New Zealand. As opposed to the TPP, the RCEP is a more traditional trade deal, which supposedly should make it easier to negotiate as the countries involved have enough wisdom around trade deals. But several issues are casting doubts on how RCEP will ever be concluded. Since the US’ departure from the TPP, the remaining 11 countries have been grappling to figure out the next steps in the process. Should they proceed as TPP-11 without the US? Should China be invited and would it even come to party given the comprehensive nature of the agreement? Without the US, the TPP-11 is only about one-third of the original TPP. 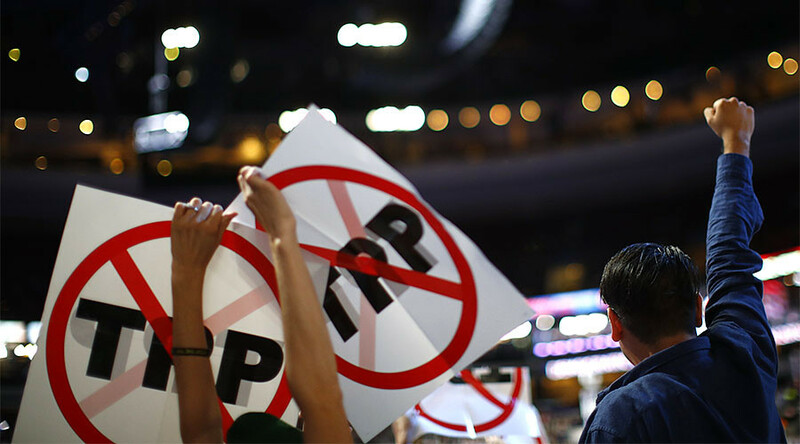 Some countries have lost interest in the TPP as a result. Access to the US market was always going to be a major drawcard to be part of TPP. Seven TPP countries are also represented in the RCEP negotiations, and thus RCEP can be seen as a fall-back plan if the TPP does not proceed. If you can’t deepen your relationship with the largest economy in the world (US), there’s no harm in working closer with the second largest (China). The only problem is that the TPP is a high quality agreement and so there’s a tendency to think that maybe some of these aspects should be introduced in to the RCEP as well. This won’t go down well with the likes of China and India. Some bilateral relationships between RCEP nations are stronger than others. If bilateral relationships are hard to manage, then landing a multilateral agreement is even trickier. The diversity of the stages of development is huge in RCEP. Bigger markets that are under-developed and smaller markets that are developed need to meet halfway for things to happen. In the most recent negotiations, India was singled out as a bottleneck, such that there has been speculation about RCEP-16 going ahead as RCEP-15. ASEAN is having its 50th anniversary this year and the ASEAN Economic Community (AEC) was been established in 2015. How will the AEC facilitate RCEP? From observations so far, RCEP negotiations have made the ASEAN group work closer together. While it will be difficult to settle the RCEP soon, at least from an ASEAN standpoint there is a good spill over effect. The RCEP may appear more likely to succeed in the trade arena, but in reality there is every chance it could result in a stalemate like the TPP. Many countries are currently facing growth challenges at different levels. This is the time when so-called protectionism sets in and makes trade negotiations harder. There is nothing unusual about this scenario, however. While countries are crying out for a globalised world, many of them conceptualise this as having access to foreign markets. Then they tend to forget about the other side of the coin, which grants other parties access to their own markets. Many countries are now discovering that they are not really ready for a globalised world, especially not in terms of opening access to their own markets.